Dinner: Monday - Thursday 5:30-9:30 PM; Friday & Saturday 5-10:30 PM; CLOSED on Sunday. Memorable gatherings begin with imagination and thoughtful planning. Public Parking Garage located at 15th and Pearl Street. This was our second visit to Frasca, after years of wanting to return without the opportunity to be in the Boulder area. This visit surpassed our first, which was in itself wonderful. 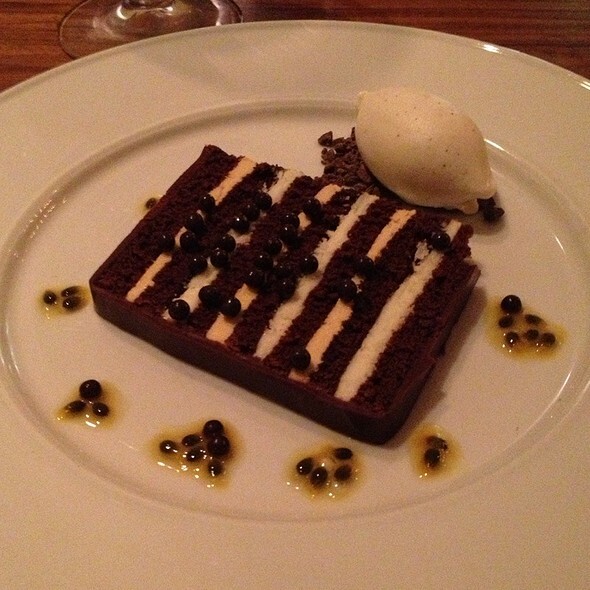 Frasca is now on our top ten memorable restaurant experiences! The service here is impeccable- on point, yet friendly and fun. Every effort was made to give us a wonderful experience, from a gratis appetizer sampler, lots of attention with wine selection to a very attentive server. The food, needless to say, was just wonderful. It included a generous amuse bouche and a take-home treat. Though reservations are not easy, make the effort. It is worth the opportunity to dine at this special and wonderful restaurant! This was our first time at Frasca and the place is impressive. The staff and service are excellent and the atmosphere leaves nothing to be desired. The menu is eclectic and the servings reasonable. However, for what you get, the price is a little hard to swallow. My oyster pasta had enough shell in it that it was difficult to enjoy. If we hadn't been with a group, I would have complained (and I don't like to do that). Also, I've had better pork belly at a half-dozen hole-in-the-wall BBQ joints. The dessert was amazing and the wine list is vast, but I won't rush back any time soon. 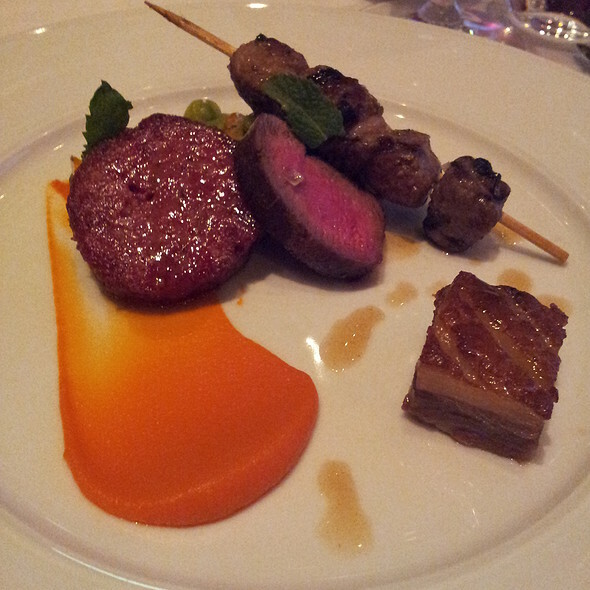 Incredible service and innovative, delicious food stunning presented. 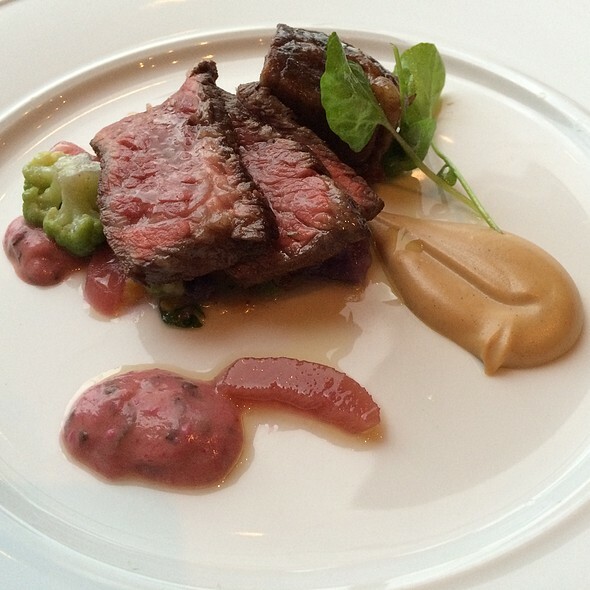 I eat out a lot and was blown away by the service, attention to detail and quality of food. Will definitely be back! We are semi-regulars at Frasca, and I have to say this was one of the best meals I have enjoyed there in awhile. Flavors were fresh, complex, and the wine pairings provided by our excellent waitress Alex, were perfect! 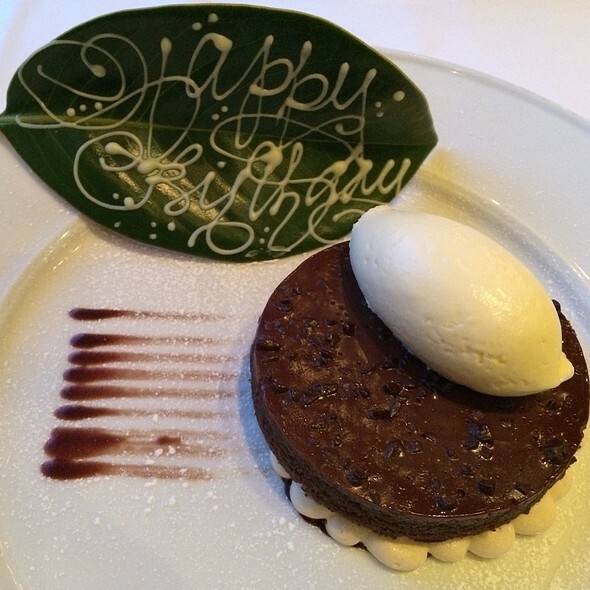 We always feel like it is a special occasion when we dine at Frasca, and this was no exception. I've wanted to dine at Frasca for a really long time, it was truly worth the wait. The service was fabulous, they kept everything going smoothly but you didn't notice they were there. The food was sensational and the sommelier was excellent - he chose a great bottle of wine that suited us both. A unique flavor profile and great wine. Not to be missed! Outstanding. The best dining experience my wife and I have had in Colorado and ranks highly with restaurants in LA and New York. This would be a Michelin starred restaurant if they did rankings for Colorado. The magic of the restaurant, in addition to incredible cuisine and a world-class James Beard award winning wine program is that Bobby, Matthew, Rose, Peter, Jeremy and the entire team treated me the same the first time I walked in off the street without a reservation and ate at the bar, as they do now when I have dined there over 50 times. I am in Boulder every year for a week and every night during that week you can find me at Frasca. It is that good. Frasca is the finest and best restaurant in Colorado, in my opinion, ideal for special occasions. The service is attentive and friendly that seems eager to please. The food is mere perfection with a creative twist. Their pastas and breads are made in the restaurant which is a rare event. Their extensive wine selection is impressive but can be overwhelming however, the staff is well versed in what matches your meals and are eager to help. I also find that recommendations are not only wonderful accompaniments to the dish but are very reasonably priced. Excellent food, service and atmosphere. Great wine selection. Try owner’s own wine—crisp and nice wine glasses. Very expensive so save for a special occasion. A great restaurant. I highly recommend the chef's table (which was hard to reserve online, but I was able to do over the phone). It is such a well run kitchen. Everyone is on top of everything. Wonderful restaurant. Great service with outstanding food! Incredible food, fantastic wine selection, and exceptional service. We had a wonderful experience. I highly recommend Frasca if you want to splurge for a dining experience you won't forget. We went to celebrate my birthday and what a wonderful meal! We chose the many course meal with paired wines. Every single course was exquisite. I've spent a lot of time in Venice/Friuli and each bite made me reminisce, yet be content that I was at La Frasca. 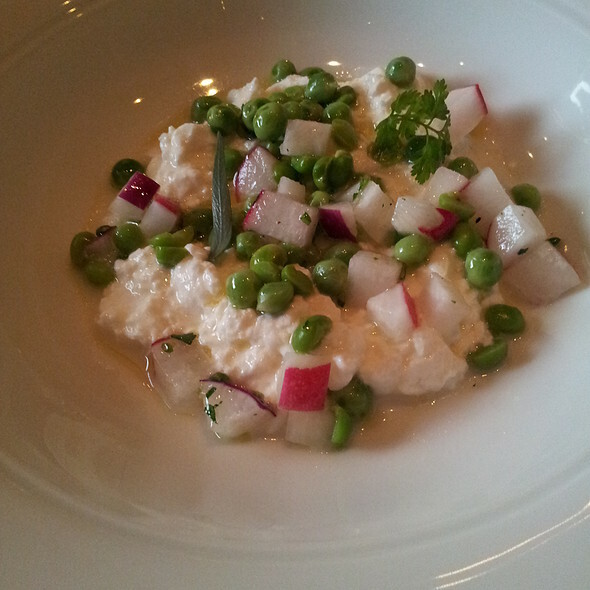 The standouts (for me) were the mouthwatering risotto, a perfect green salad, and a delectable lamb dish. The waitstaff is lovely and knowledgeable. Highly, highly recommended! We will be back. Drove out of our way to dine at Frasca on our way across country. Delightful menu and impeccable service. So glad we made the effort..
We enjoyed our meal very much. 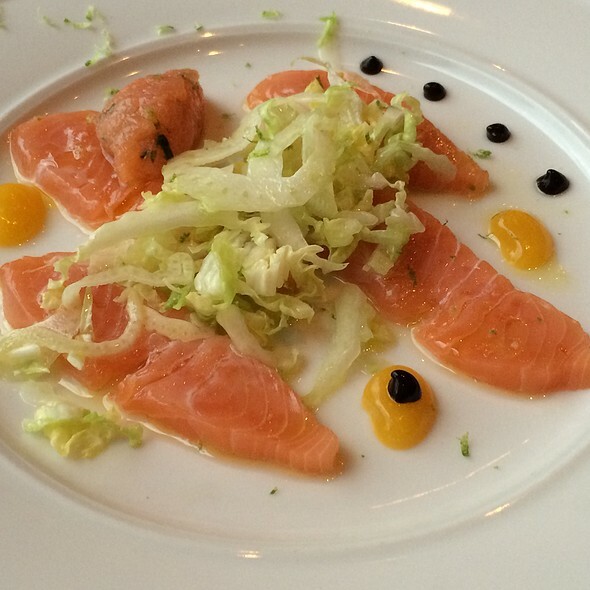 Dining at Frasca’s is a wholistic experience, not just a meal. The staff ensures that you feel well attended and that your needs are well met! 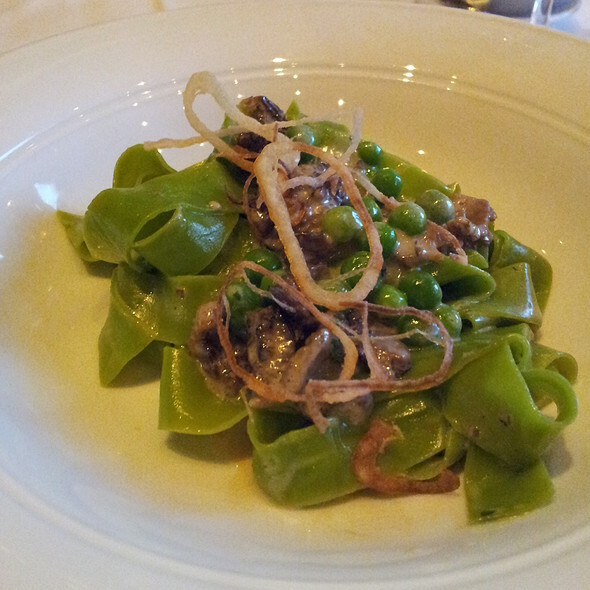 Unfortunately Frasca was disappointing and more hyped up than what was experienced. It was extremely expensive, and we left feeling dissatisfied and not full even after 7 courses. The portions are tiny-yes the food is of quality, but the portion doesnt match the price. Wine selection is phenomenal, but also expensive. Service was spotty-hard to tell who was our server, who to order from and we felt neglected and a little confused as not everything was explained in detail as it was to other tables. I asked for my dessert to be boxed up to be taken home, but it was never returned. Overall, Im glad I tried it once, but I wouldnt return, even for the phenomenal wine selection. Over hyped and over priced was my experience. The service was exceptional and the meal superb. The chef went out of his way to accommodate the Vegetarian and Gluten free members of our party by modifying items on the menu. We chose the four course menu plus additional appetizers and each had a great range to choose from and used local and personlly imported ingredients. Our daughter was visiting from overseas with her partner and this was a great venue to make her visit special. We had a divine evening with an incredible dining experience from the exceptional menu to the perfect pairing of wines . Perfect way to celebrate a birthday with someone you love. The food and service was excellent. We celebrated our 17th wedding anniversary and arrived to a personalized menu and some delicious chocolates were served at the end. Highly recommended. Enjoyed every minute and every bite. Service, food and ambiance were of excellent caliber. I hope to have more opportunities to done there again. Excellent presentation of unique appearing dishes. Unfortunately, they are much more attractive than their overly delicate taste. Excellent service and extremely extensive wine list. Limited flavor despite the very high price. Fantastic restaurant! Not to be missed! Best restaurant in Boulder. Definitely top, top shelf. Sublime. Food is the best you can imagine. Make this a special day for that special occasion. Food was delicious, staff very knowledgeable abs courteous. I highly recommend this place. I must say that I enjoyed food but hostess and service staff had an attitude and treated us like they could not get us out of there fast enough and like we were not good enough. Also we showed up to an early dinner and they seated us in the back and it was not that fun. I would not send my friends there at all. Fine dinning with attitude staff - no thank you. wonderful birthday experience thank you! 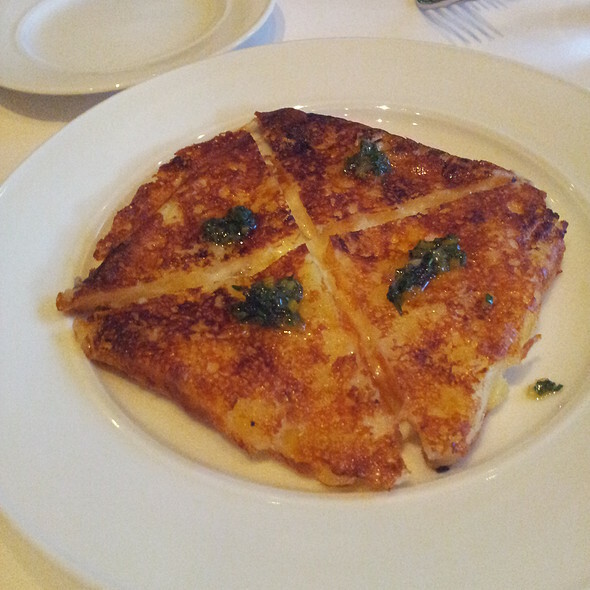 Outstanding food and service - it is always a most special experience to dine at Frasca's. Outstanding service, beautiful restaurant, food was delicious, but overpriced for the amount of food you get. Impeccable. You can't ask for anything better. Fit for the finest foodies. After living for years in the NYC restaurant scene, this fits right in while being in our CO 'backyard'. As a side note, even if you are not a fan of pasta, their gnocchi will change all perceptions and expectations. Amazing. This was my second time to Frasca and the food keeps getting better. I would give six stars for service if I could. We walked in and were imedietly given a welcome glass to sip while they got our table ready. Our server knew the menu backwards and forwards and made great recommendations. The sommelier was incredibly friendly and knowledgable and helped us pick a couple of fantastic bottles. Every course was perfect but I think the real highlight for me was the rabbit gnocchi. Absolutely wonderful experience all around! No detail was overlooked and the food/wine was transcendent! 5 stars all day long. We enjoyed the ambiance and service tremendously! Frankly though, we found many of the dishes mediocre with only the Prawn dish and desserts outstanding. The other dishes (duck, eggplant, rabbit, gluten free pasta) were only fair to good. Kind of a let down since everyone raved to us how good the food would be. But we really had a nice anniversary celebration anyway as the dining room (ask for the main room if that matters to you) ambiance and service were perfect! 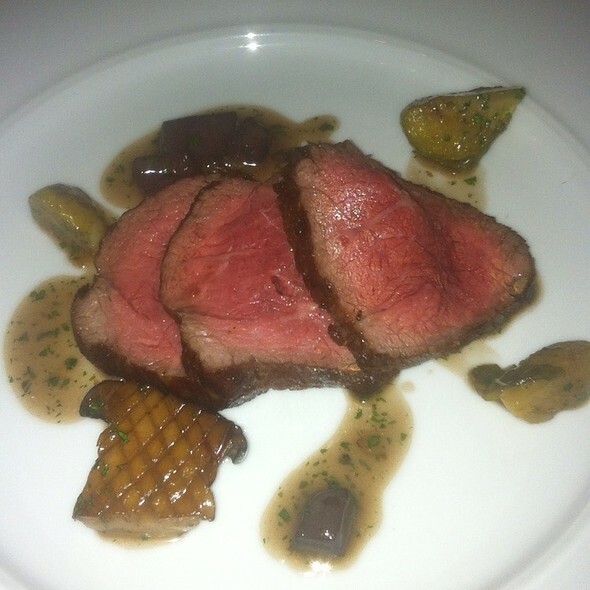 My husband and I really enjoyed the whole experience of Frasca. Wine selections and food were interesting and highly enjoyable. We visited for our Anniversary and were very pleased we did. From the host staff to our feet of servers, we were well taken care of! !We chose the 8 course meal and enjoyed every part of the experience. Frasca is a Boulder gem...we are fortunate that our town was chosen as the restaurant's home. It has helped to "up the game", and provide opportunities for local restaurants to shine. Amazing! Surpassed all my expectations. Enjoyed an amazing meal with my family that is one to remember.